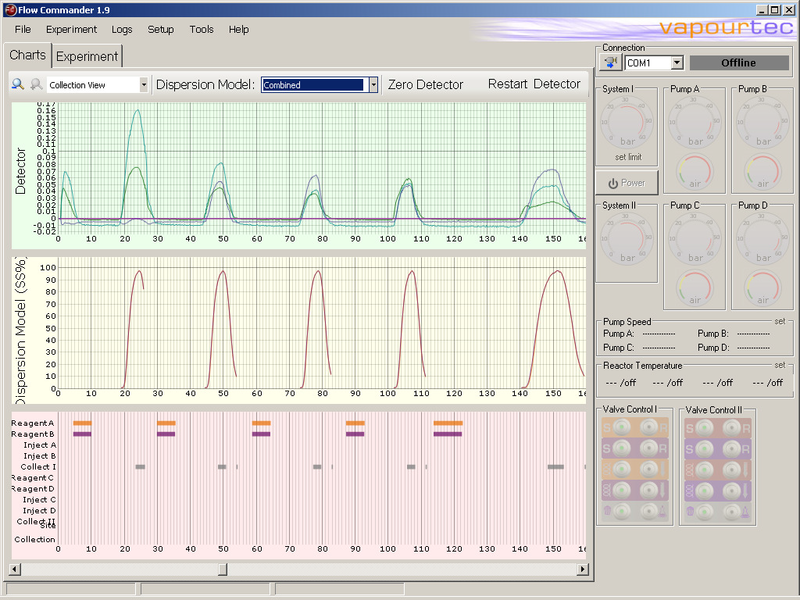 Vapourtec have integrated the Bruker ALPHA FTIR Spectrometer into Flow CommanderTM software. This new integration give users more flexibility and greater choice of inline analytics for Vapourtec users. The ALPHA FTIR from Bruker makes FTIR analysis simpler than it has ever been before. 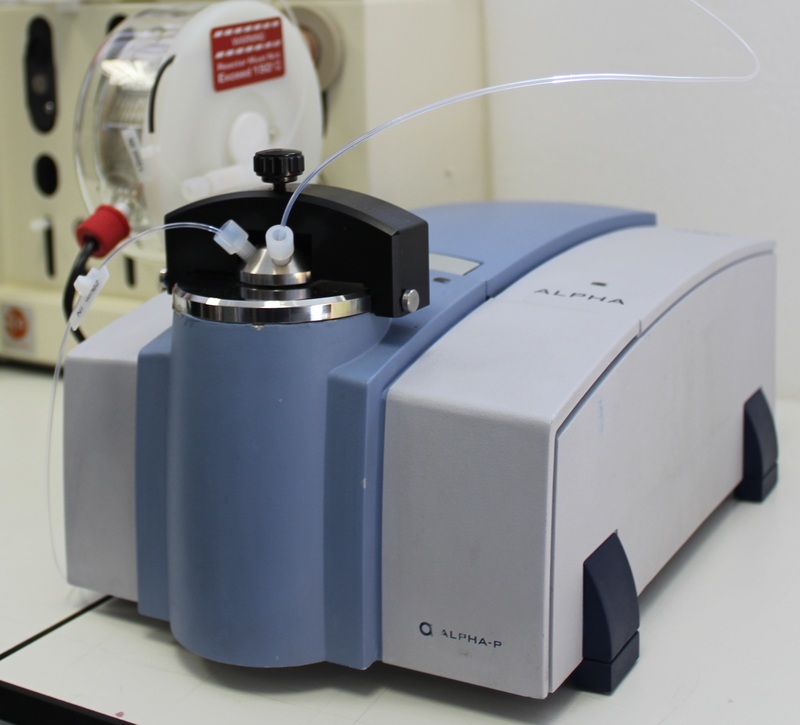 With its plug and play operation, easy to set up and ease of use, ALPHA brings practicality to FTIR spectroscopy. The intuitive OPUS software interface is easy to use. The ALPHA is insensitive to vibration so can be moved without the need for alignment. ALPHA delivers excellent sensitivity as well as x-axis reproducibility and stability. The footprint of the ALPHA is 22 cm by 30 cm. The IR offers full FTIR sampling flexibility with user exchangeable QuickSnapTM sampling modules allow the analysis of almost any kind of sample. 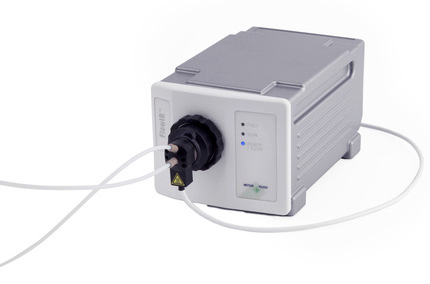 In 2011 Vapourtec integrated the METTLER TOLEDO, FlowIR™. The FlowIR™ is a in-situ FTIR system which enables a chemist to see the exact chemical composition of the output of their continuous flow reactor system in real time providing structural information across a wide range of functional groups/chemistry. A white paper has been publshed as a result of the collaboration. to view the white paper please follow the link below. The Vapourtec Flow Commander softwareTM communicates with the Bruker Opus and Mettler Toledo iC IRTM software. The trends from the IR are displayed on a single chart along with the other reaction data charts (flow, temperature, pressure, reactor power consumption), and the predicted concentrations from the dispersion algorithm. The trend data can be saved and viewed offline in the FlowCommander™ software away from the lab, or extracted to a spreadsheet for further analysis alongside other reaction parameters. In March 2011, Vapourtec announced the facility to automatically trigger the collection of product peaks in real time based on the output of a UV detector placed in the product stream. This same facility can now be used to define triggering criteria for capturing product output based on FlowIR™ data and ALPHA data. Note that, as with UV triggering, it is possible to define different criteria for each reaction in a queue. For example, it would be possible to add the same reaction to the queue twice and collect product in each case according to different collection criteria. The FlowIR™ in-situ FTIR system from METTLER TOLEDO enables a chemist to see the exact chemical composition of the output of their continuous flow reactor system in real time providing structural information across a wide range of functional groups/chemistry.